I love a leisurely Sunday morning with coffee and some good recipe planning for the week ahead. Lin and I have been a bit crazy since returning from Houston and have been eating out so much. I made a deal with myself that I would cook everyday this week excluding Friday night as we have dinner plans with friends. I recently got Lin Gwyneth Paltrow's newest recipe book. We loved most of the recipes in her first cookbook and It's All Easy has been getting a lot of press and I am loving what I am seeing. 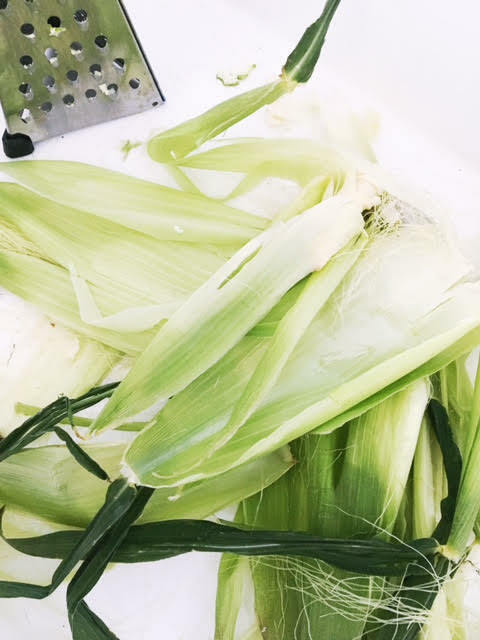 I love summer veggies and anytime I can find fresh corn, I am all in. So I decided to do beef kabobs and made her corn with lime butter as a side dish. It was amazingly delicious! And I made extra butter as she suggested for a steak marinade or salmon marinade. Cannot wait to try it on a smoked salmon. 4 ears of corn, husks and silk removed. Mix the butter, lime zest, and chipotle powder in a small bowl. Steam, roast, or grill the corn and slather it with the flavored butter and serve. Sooo good. And what a great way to start out the brand new month! Happy August dears. I cannot believe we are half way through the year.